Elmont, New York, USA. April 5, 2016. 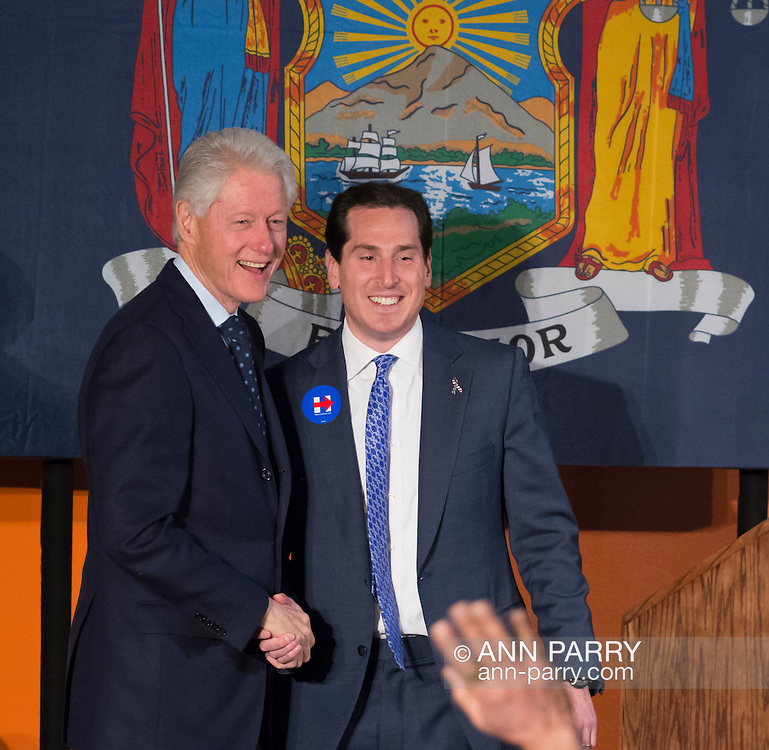 Former President BILL CLINTON is introduced by Assemblyman TODD KAMINSKY, the Democratic party’s candidate in a special election for the New York State Senate seat, at an Organizing Event in Elmont, Long Island, on behalf of Clinton's wife, Hillary Clinton, the leading Democratic presidential candidate. The NY Senate seat Special Election and the New York Presidential Primary both take place April 19th.